virtuality: Check out the latest music review on Music! Check out the latest music review on Music! I would be completely stupid if I didn't say that this song has changed me. Chasing Cars is one of the finest songs ever written by the band. The mystical and inviting voice of Gary Lightbody, over a veil of sparse guitars and music that soothes your soul and ignites within you a feeling you never felt before. But before going into the emotional details, let us first view it's background history first. 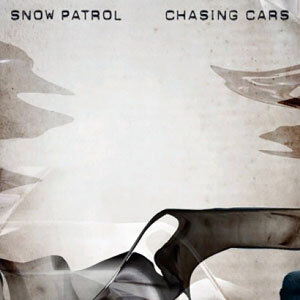 Chasing Cars is the second single from Snow Patrols fourth album Eyes Open. Recorded in 2005, it was released on 6 June 2006 in the US and 24 July 2006 in the UK as the album's second single. The song is Snow Patrol's biggest-selling single to date, ending 2006 as the UK's 14th best-selling single of the year and 2007, on the strength of downloads, as the UK's 34th best-selling single of 2007.The song peaked at number 6 in the UK Singles Chart and number 5 on the US Billboard Hot 100. This song has been featured on the second season finale of Greys Anatomy, season three finale of One Tree Hill and also as the song in the official trailer of Perks of Being A Wallflower. with it if you did." How nicely phrased. Lightbody even stated that it was the "purest love song" which I totally agree. It was even nominated for the Best Rock Single in the 2007 Grammys. For me it was a song that gave me goosebumps. "If I lay here, If I just lay here, would you lie with me and just forget the world?"